When you deposit 1000$ you can’t trade 1 lot but leverage will give you this opportunity to trade with higher amount. Well it seems that this is very good opportunity for traders but there is very dangerous cheat behind this good opportunity! The only right answer is the forex broker like increase your greedy sense and when you become greedy you will trade emotionally so when you are trading emotionally you will lose your money! This is clear that leverage is completely virtual money not real money when broker give you 1:100 leverage. Well a clever trader should use this leverage to earn profit. Many professional forex traders believe that high leverage is not good and they try to show you that you should analyze a lot of things to choose right leverage! The only reasonable reason for their opinion is that high leverage will encourage you to increase trading lots and it will increase your trading risk. 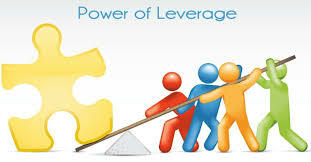 With high leverage you will lose soon and with low leverage you will lose later! Well use high leverage and lose sooner so keep out from forex market and start another job my friend. If you are not emotional person choose the highest leverage that your broker offers to you.